Meth Lab Cleanup Company is a privately held, full-service clandestine drug lab assessment and remediation firm also offering meth residue testing products, consulting, training, and expert witness services to clients in West Virginia, Tennessee, Kentucky, Virginia, North and South Carolina. Meth Lab Cleanup Company takes great pride in being a client-focused, cost-effective, solution-oriented clandestine drug lab testing and decontamination company. Included among our professional staff are industrial hygienists, hazardous waste management and OSHA specialists, environmental scientists and certified clandestine drug lab decontamination and safety professionals. Professional, Experienced Technicians - Meth Lab Cleanup Company has taken great care to build a >staff of professionals that satisfies the variety of clandestine drug lab preliminary assessment and decontamination needs by both our clients and by regulators. Our focus on teamwork has resulted in a productive, shared working environment that enables us to provide the right mix of specialists for each project. 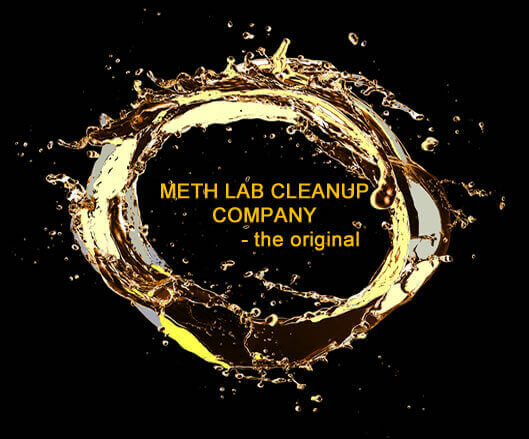 Personalized Attention - Value, commitment, personalized attention, and accuracy continue to be Meth Lab Cleanup's overriding objectives and have made us one of the largest, most respected clandestine drug lab decontamination company in the nation. We consistently seek new methodologies and technologies to enhance our services and lower costs. We count many local and federal agencies among those we serve. We offer personalized services to all our clients. The manufacture of methamphetamine in homes constitutes a serious and growing exponential environmental problem for east-central states. These illicit drugs are manufactured out of easily obtainable materials with only the most basic equipment and require little to no training of the basic chemistry needed to produce a harmful, illegal drug. Following is a summary of east-central state meth lab cleanup standards and disclosure status. North Carolina's legal meth lab cleanup standard is 0.1 ug/100cm. North Carolina does not have a disclosure/non disclosure law related to methamphetamine production. Kentucky's regulatory standard for meth is 0.1 ug/100cm. Kentucky requires written disclosure until the property has been remediated to state standards and deemed by the state to require not further action. Tennessee's regulatory standard for methamphetamine residue is 0.1 ug/100cm. West Virginia is regulated for clandestine drug decontamination / meth lab cleanup. Several counties are also regulated. West Virginia's legal standard for meth is 0.1 ug/100cm. There are no known clandestine drug lab decontamination or disclosure laws for the state of South Carolina or Virginia. More on regulations. An easy-to-navigate map of local health departments is provided online by NACCHO. Find the Kentucky, West Virginia, Tennessee, North and South Carolina contact information you need for further information on clandestine drug lab programs and requirements, if available. The oversight of contaminated property is usually the responsibility of the Environmental Health Department within the county or state Health Department. Oversight may also be the responsibility of the Department of Environmental Quality. The National Security Presidential Directive/NSPD-25 directs U.S. government agencies to attack the vulnerabilities of drug trafficking organizations by disrupting key business sectors and weakening the economic basis of the drug trade. The illegal drug market in the U.S. is based on illegal narcotics grown or manufactured in foreign countries and smuggled across our nation's borders. Visit Wikipedia's state and local law enforcement listing for police and sheriff's office (Drug Task Force) contact information for the states of North Carolina, South Carolina, West Virginia, Virginia, Kentucky and Tennessee. Go here for High Intensity Drug Task Force listings. The manufacture of methamphetamine in homes constitutes a serious and growing exponential environmental problem for many east/central states. These illicit drugs are manufactured out of easily obtainable materials with only the most basic equipment and require little to no training of the basic chemistry needed to produce a harmful, illegal drug. The DEA Clandestine Drug Laboratory Registry is available online. The listing is incomplete; the public should contact law enforcement, state or local health department for more information. NOTE: this listing is incomplete and seldom updated.